No, that’s not some new Casino in Vegas or something odd in the Mojave, we mean the actual Great Pyramids at Giza. 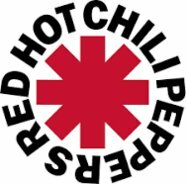 Today the Red Hot Chili Peppers announced a show for March 15th 2019, in front of one of the greatest ever structures made by mankind. No word on who the support will be, but on a total tangent we need a Muse gig at the pyramids with a UFO landing near the end. Their UFO or one from space, we don’t mind. There’s a promo video, but it’s essentially 37 seconds of live clips and text so no need to worry.